When you’re in Wyoming in search of all things design, it’s not hard to imagine that what you run in to is rustic and weathered, strong and a bit scrappy. .. think Marlboro Man design. In keeping with this aesthetic, the two local artists I was drawn to, Lawrence Bennett and John Simms, chose metal as their medium. Makes sense, really. In 1842 a few trappers discovered gold at South Pass, and what followed, well, we all know that history. 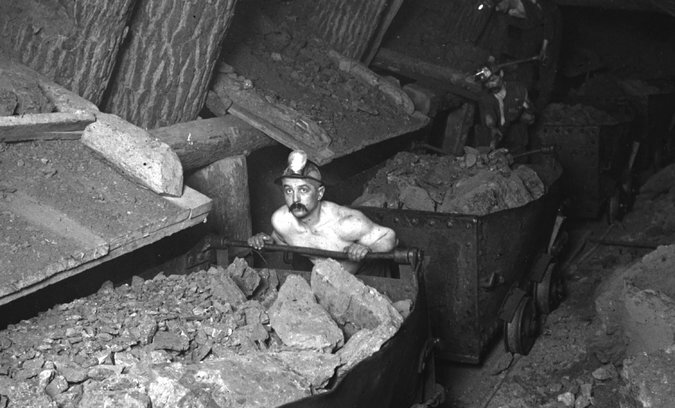 But that rush for gold also revealed rich deposits of iron ore. So the fact that these two artists craft in metal gives their work a regional authenticity and a permanence — which is pretty important out here. Because, from what I can tell, no matter what time of year, and no matter how many feet of snow… everything in Jackson happens outside — and that’s just where a lot John Simms’ work resides. I met Simms outside of the Diehl Gallery in downtown Jackson Hole. 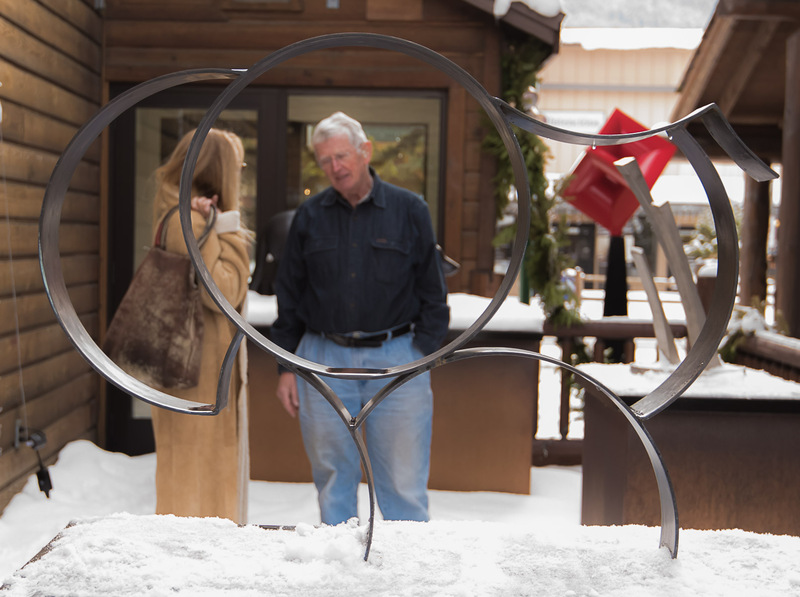 A resident of Jackson for the past fifty of his nearly eighty years, he began the interview by explaining in detail his sculpture in metal that was surrounded by snow. Three things struck me: 1. I have never had an artist tell me what their work was meant to be; 2. my toes had lost all feeling; and 3. he was not wearing a coat. While I did like his work, I was getting a puzzle-solver vibe from him in addition to artist, and that had me fascinated. Turns out, after graduating college with a minor in non-euclidian geometry, he went west to be a ski patrol guy and got involved in avalanche research. Apparently in 1965 avalanche engineers took samples of snow back to a lab, tested it and then could determine whether or not an area was safe. As John was recovering buried bodies from under the snow it was clear to him that mother nature waited for no lab results. He devised a kit that could weigh the snow onsite which enabled them to make their safety assessments immediately. The kits were wildly popular with customers around the world including, according to Simms, the Pakistani army. That invention was only the first of many by Simms that would make the sporting life more safe and more stylish. He developed ski poles that morphed into avalanche probes; created the portable avalanche shovel; bought the patent for the croaky and marketed it worldwide; designed a neoprene fishing wader which set the standard in fishing gear; founded the company, Simms Fishing Products which carries many of his own creations/designs. Traveling from the in-town gallery to the outskirts of town, I met up with Lawrence Bennett in a garage-turned-studio. Bennett makes accessories from metal that no one wants – like reclaimed barbed wire; old bike chains; discarded nuts and bolts; and abandoned tram cable. In fact the Wyoming Land Trust has called Bennett directly to take away the old barbed wire that has maimed and killed so many of the animals that inhabit the area. Practically a native, Bennett has lived in Jackson for over 25 years.. at least long enough to see the modest homes in this neighborhood where he rents his studio at the foot of the Tetons, skyrocket in value. 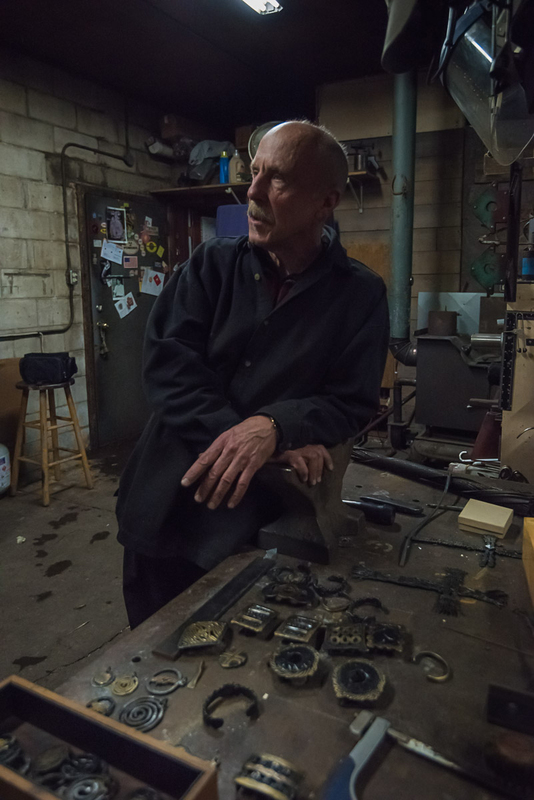 His Fine Art degree, an active imagination and an inability to not create things, has yielded a studio filled with wall sculptures; belt buckles; pendants, and bracelets —all an ingenious mix of his found metals fashioned with his bare hands, a propane torch and a brass wire brush. His designs have rough- hewn appeal and I instantly wanted to own some of his jewelry. And now do! So cool to find this! I’ve owned a beautiful watercolor, a desert scene, by Bennett for years. I bought it at a friend’s back yard art fair a long time ago. Today I found out Bennett is the artist, and I’m thrilled! I know almost every artist around here, but could not put my finger on Bennett. Friends on FB recognized his (elegant) signature. That brought me to your blog! I have to tell your story! Thank you so much for commenting. Laurence is such a nice and talented guy.